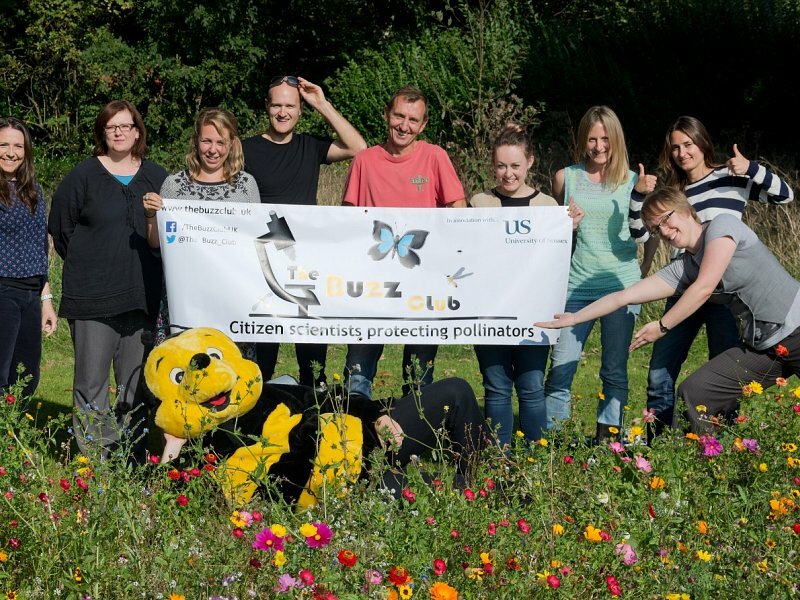 Charlie Dance from the University of Sussex's Buzz Club has written a guest blog about how citizen science can help protect pollinating insects. It’s hard to overstress the importance of pollinators. Not only do they play an indispensable role in global food security, they’re also essential in maintaining the diversity of plant species in natural habitats, thus supporting nature as a whole. The UK is home to thousands of different pollinators including bees, wasps and hoverflies. However, while many of these species seem to be declining or disappearing, we know surprisingly little about the majority of them. Why are some disappearing, and how quickly is it happening? What can we do to help? How can we turn our gardens into pollinator havens? It was to help answer questions like these that the Buzz Club was founded in 2015. Run by volunteers at the University of Sussex, The Buzz Club is a citizen-science charity using the power of the public to provide important data on pollinators. We run a variety of nationwide surveys and experiments suitable for all ages and ideal for wild-life and gardening enthusiasts. Furthermore, we provide information about how to make our urban landscapes more pollinator friendly (for more info and for a list of current projects, please see our website, http://thebuzzclub.uk/). Buzz Club members get to learn more about pollinators whilst helping to generate useable data. We believe that with your help we can find out how best to conserve bees and other pollinators. Our ultimate goal is to ensure that we look after insects, giving them and us a future.